Need Help Optimising Your Time to Serve? Time equals money—it’s a well worn, but important truism if you’re involved in the supply chain game. There are so many ways for example, in which time to serve can be costly to your operation. At Logistics Bureau, we get you on the right side of the “time equals money” equation, by reducing your supply chain “time to serve”. 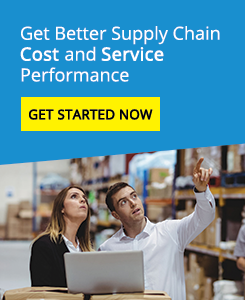 Since time to serve contributes directly to supply chain uncertainty, these lead times deserve nothing less than a healthy dose of compression—and we can help you deliver it. Logistics Bureau can help purge wasted supply time from your operation with our specialised projects targeting time to serve. Our consultants analyse your company’s time to serve, identify areas for improvement, and prioritise them by importance in terms of the opportunities presented. At Logistics Bureau, we’ve developed a methodology for understanding time to serve and its influential factors. What is your overall time to serve? Do your lead times meet customer expectations? Do you really need to reduce time to serve? How can supply chain cycle and lead times be addressed? How will time to serve reductions influence costs, revenues and profits? What are the barriers to overcome in cutting your time to serve? With those questions answered, we’ll work with you to prioritise opportunities and develop plans to capitalise on them. We can then assist you to execute those plans and to measure progress towards agreed targets. Let Logistics Bureau show you how and where supply time is limiting your operational performance. Contact us today for a free, no-obligation time to serve assessment.